Every home usually consists of two kinds of people. The individual who is concerned about what is practical and the other about what looks the best. Aluminium shutters is a product that will cause no debate in the home as it serves to please both. Aluminium shutters improve the appearance of your home by making it look neat and elegant. The shutters are uniquely designed to fit perfectly where needed. You create a timeless beauty to your home when you combine them with drapes or curtains. If you desire a clean modern look, then our shutters on their own allow you to do away with the clutter of curtains and blinds. They will satisfy your aesthetic appeal whatever it is. 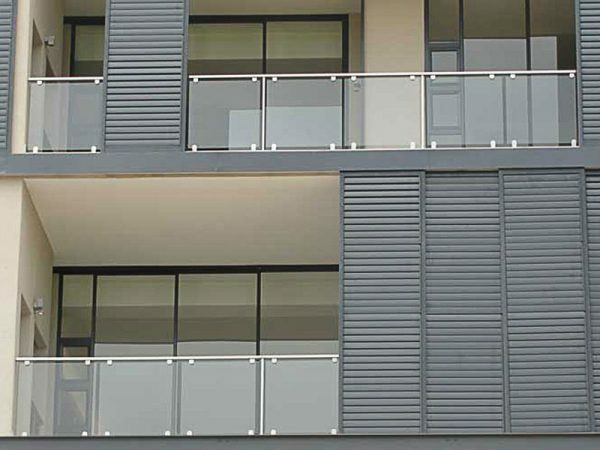 Aluminium shutters are also incredibly practical. They are easy to clean and have superb control of light. You can keep light out of North facing rooms completely when it’s not appreciated or to prevent furniture from being damaged. These shutters also control noise, and the temperature of your home, which is helpful in saving electricity. They provide complete privacy in places you want to keep hidden by acting as a screen. They can also be used as room dividers, which allow you to open or close off rooms quickly and effortlessly to make better use of your space. They are made from recyclable aluminium so you can install them with a clear conscience. The aluminium is robust though and will not swell, crack, split or warp with moisture. Best of all Aluminium Shutters are better priced than wooden shutters. There is one feature of our Aluminium shutters that suits both the practical and the décor concerned individual in South Africa, Security. Our shutters have the option of coming with an added security feature, which is reliable and durable. This allows you to do away with burglar bars, which may hinder the aesthetic appeal of your home, without compromising your security. Aluminium shutters are a good choice for your home because they are practical and can be used as a security barrier while not sacrificing the aesthetic appeal of your home. They are the perfect three in one product that is sure to please everyone. This entry was posted in Aluminium Shutters and tagged Aluminium shutters, House of Supreme, Shutters.